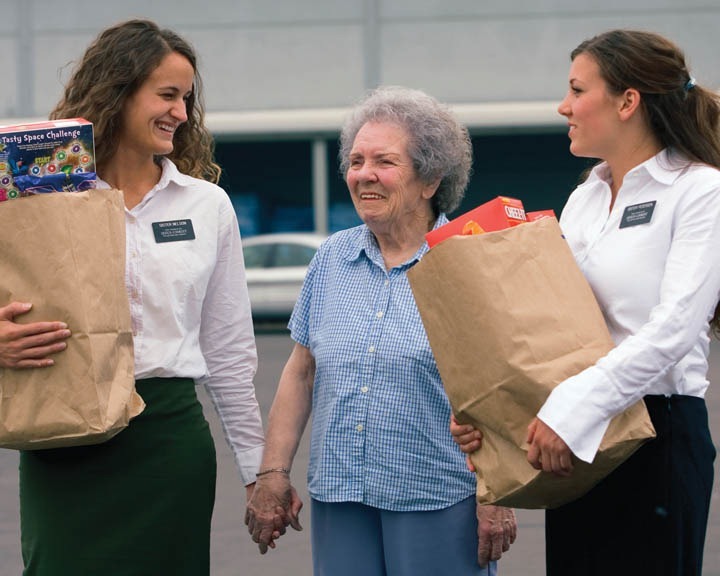 You are here: Home / Sister Missionaries, What Made You Decide to Serve? I never planned to serve a mission. While I was away at college in another state I had the chance to talk often to my friends and peers about my religion. I became so excited about serving that I decided to give up an athletic scholarship in order to go. I had the most wonderful mission experience. My testimony of the gospel grew exponentially and I made so many wonderful friends. I will always be grateful for my opportunity to serve a mission. That’s fantastic Lindsay. 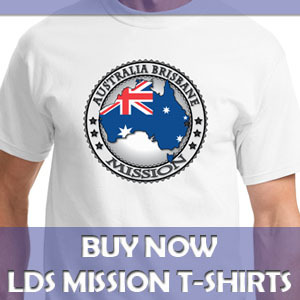 Where did you serve your mission? I have wanted to serve a mission since I was young. Out of fifteen family members (including my parents and half siblings) I would be the first in my family to serve. When it came time to decide I couldn’t bare the thought of leaving my widowed mother and wonderful family, my scholarship, and my jobs so I put off the thought. I would feel an inclination and just push it aside. I went to a preparing missionary seminar and never in my life have a felt such a strong prompting. I couldn’t deny nor ever forget what I had felt. I know the Lord can take care of my family better than I can so I have to just put my faith in Him. Congratulations Hermana Allen! You are going to be serving not far from me! I live in the Washington DC South Mission area. The DC Temple is about an hour and a half from my house! 🙂 I’m super excited because this sunday I get to start attending a temple prep class! Ever since I heard about the temple from the missionaries, I have wanted to go. And now it seems closer than ever! I wish you the best of luck on your mission! ~Sister Baum, to be. My grandmother served a mission back in the day that not many women served. I always looked up to her and wanted to serve. I’ve never regretted my decision, it’s been the preparation for my marriage and being a parent. I just graduated last october from college, Im 24 now. I had made up my mind that I would not serve a mission. Now that I graduated, Im just working, not dating either. Planning on getting my master though. Recently I’ve been doing a lot of thinking about if I should go on a Mission now. Unlike these other girls, they have had the desire to go. I haven’t. Now, I just dont know if the lord would want me to go. I feel very confused. I do pray about it, i dont know if its me or what, but i just dont feel that i am receiving a response. Gaby, Thanks for writing. Getting answers to our prayers can be difficult at times. Often times we find apparent conflicts between head, heart, and Spirit (i.e. what we think we should do, what we want to do, and what the Spirit is telling us to do). Here are a couple of things you might want to consider: You say you’ve been thinking a lot about a mission lately. Perhaps that is the Spirit of the Lord working on you. You also say you haven’t had the desire to go on a mission, but it sounds like your thoughts are wondering if you should go. Please know that you are loved regardless of what you choose. The Lord does not require women to serve missions, but some have the desire and can go. Those women meet a need and experience personal growth. My advice would be to do as I heard Elder Richard G. Scott once counsel: When you have sincerely prayed and sought for guidance yet still don’t know what to do, just make a decision, in either direction, which ever you think is best. If the direction you choose is not right, the Lord will not let you continue down the wrong path. And this is some advice my dad once gave me: Live righteously and stay close to the Lord, then you can trust your feelings. Good luck, God bless, and let me know what you decide. Thanks so much for the reply… Gaby’s situation is just like mine at the moment. I’m done with university and thinking of putting in for masters… I’m in a confused state… I wish to go on mission and another thought is coming to just sit since its not compulsory for sisters. Thnaks for sharing. Always good to find a real expert. Gabby, I can totally relate well kind of.. I’m 24 too finished my degree, I’ve started my Masters but it’s been on and off for about 2years due to work commitments, so I feel like my epic studies are never comming to an end! I’ve always had the desire to go I love everything about Missionary Work each time I go to a return missionary fireside, meet a RM, listen to all the stories from my missionary friends and read all my letters and emails from my sister on the field I can’t help but feel like I’m missing something in my life. I’ve always wanted to go and everyone has always assumed I was preparing but the truth is I haven’t really made an real effort to ask the Lord in sincere prayer about my decision. After finishing my undergraduate I’ve really been strugling to finish my masters and for some reason its taking much longer than planned to finish. The pressure to finally attain a professional job and to settle down (because according to the mormon timeline 24 and still single is pushing it) has made it much harder to make a decision. But then when I come across websites like yours, I feel like serving a mission is going to be one of those things I’m going to look back on in life and regret deeply! I have prayed about it a few times and I too have not recieved a distinct answer and so I continue to move on in life instead of exploring that feeling more. If I were to list all the wonderful and amazing people who have influenced me in some way to choose to serve a mission, I would be here all night! However, here is a small amount of backstory. When I was first investigating the church, I was dating a guy who happened to be very Anti-Mormon (I wouldn’t find that out until AFTER I started meeting with the missionaries, over a year into our relationship). My family took a trip up to the Washington DC Temple visitor’s center with a member from our branch. One of the sister missionaries who was serving there (I will never forget her, that wonderful Sister Hamblin!) came over and talked to us. I’m sure we looked quite overwhelmed and lost just standing there in a corner by ourselves. But she came over all smiles and bubbles and the first thing I noticed about her was that she was practically glowing. When I look back on it now, I realize that that glow came from living the gospel and having the Holy Ghost as a constant companion. But she latched onto me and she said “Amanda, I just know that your going to get baptized. I know that the Lord has wonderful things in store for you.” At the time I brushed it off, but no truer words have ever been spoken. That was March 8th, 2008. Two months later, on May 10th 2008, I was baptized (I should mention that two days after our visit to the visitor’s center, my boyfriend and I broke up. His ultimatum “If you go Mormon, I’m walking.”, made joining the church the hardest decision I’ve ever had to make. But at the same time, it was single-handedly the best decision I ever made.). Because of people like Sister Hamblin, I was able to find the peace and joy that my soul had been searching for my entire life. And as a result, I have a burning desire to share that peace and joy with those who don’t have it. There is a very real war being waged for the souls of mankind, brothers and sisters. It is our job, especially as full-time missionaries, to go out onto the frontlines and find our brothers and sisters who have been wounded by Satan, and help them find the healing that they need. They need to have the gospel in their lives, or like the inhabitants of Jerusalem in Lehi’s time, they will perish in unbelief. Do we really want to get beyond the veil to have our friends and neighbors turn to us and say “Why didn’t you tell me?” I know that the Lord knows and loves each and every one of his children, and if me serving a mission can help just ONE person come home to Heavenly Father, it will have been more than worth every sacrifice made to get there. ~Sister Baum, to be. I have always wanted to serve a mission. Last Thanksgiving when visiting home, I got a yes answer to my prayers about serving a mission. I still had months before I turned 21 and I was going to wait until closer to that point to turn in my papers. I made the mistake of telling some people my plans and they thought they knew better and convinced me to start them earlier. Well everything started falling through and nothing was working out with that so I prayed about it again and the answer was no. I was so sad and confused at how could I get two conflicting answers like that? And I pushed thoughts to the back of my mind. Then one Sunday at church I heard the words now is the time. I immediately went to my bishop and told him that I wanted to fill out my papers and everything worked out perfectly and filling out my papers went smoothly. I know I will never regret serving a mission. And the lesson I learned is that it is all on the Lord’s time table and that you just have to trust in Him. Hi.. it was really touching having to read your stories.. they have touched me greatly….. I am 25 and just waiting for my mission call i am expecting it this week, i am soo nervous yet excited at the same time.. i know that this time has been very difficult for me, i see so many job offers and get soo tempted but i have to remind myself that Mission is important and i should FOCUS.. it hasn’t been easy for me at all as i am the only memeber in my family, and it feels like i have the world on my shoulders but i have felt my heavenly father’s love thru out my weeks of prepartion.. The gospel had brought so much joy in to my life i woulf like to bring that to someone out there somehow that keeps me going. I am 25 years old. Served in the Army when I was 19-21. I am now medically retired and growing up I felt I needed to serve a mission. I fell away from the Church while I was in the Army and have been in the repentance process since 2009. It has only been a couple months now that I have felt complete forgiveness and worthiness to serve although I fought the idea for a while. My problem now is that I have to wait anywhere from 13 to 19 more months because I started Braces treatment and can’t serve until I am done with them. But I know that gives me time to really prepare and know that through our Lord I will have the strength to follow the plan I feel that He has for me to serve a mission. I had three confirmations (if you will) to serve. First started with a prayer about Temple attendance which led me to search the scriptures and doctrine of the church and seemed like every time I read about missionary service it seemed to stand out, then I met a young woman in my winter ward that shared her experience of deciding to serve a mission, then I attended the Mesa Arizona Temple Easter Pageant a couple weeks ago and spoke to a couple of sister missionaries that urged me to pray and seek an answer about serving. I worried about my age as I will be at least 26 when I send in my papers but the sister missionaries at Mesa told me they have a fellow sister missionary that is 26 and my Brother in law served with a sister missionary that was 35 (Inspiring as that mission was her fourth). So I am assured of the call to prepare and serve no matter my age. I also worried about my past but also through study and prayer and the repentance/forgiveness/Atonement I know without a doubt that I am worthy to serve. I admit that I am somewhat scared to serve but I know it is not because I will have the separation from family and friends as I already went through separation while in the Army. It’s more that I know that Satan is trying his hardest to deter me from preparing. But my main prayer these days is for strength to overcome and avoid temptation and the workings of Satan. I have started a new journal and for the first time have been writing in it each night which I know has given me strength. I hope this all makes sense. It seems a jumble to me but I will have time to prepare for sure and know that I am doing the right thing. I know it is and will continue to be a struggle but I know with Heavenly Father and Jesus and my family and friends standing by me I will withstand all that Satan will try and I will make it through everything and serve. Oh and did I mention I have a terrible time learning languages and one of my sisters thinks I am going to be called to Germany which is interesting as that is where I have felt is going to be where I will be called (had that prompting on the morning of the day my sister told me of her thoughts). But we will just wait and see I think. I’ve always wanted to serve a mission ever since I sang these words in primary; I hope they call me on a mission”. 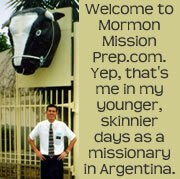 But, I truly decided I wanted to serve a mission when I was 14. I remember sitting in a byu classroom while attending efy. I don’t remember what the class was on, but I remember the impression that came to me from the spirit. The feeling is hard to describe. It was peaceful and exciting. I knew then that I would serve a mission. I know that the Lord had called me at that moment to teach the gospel. That moment in the classroom is when I had truly received my call to share with the world this true gospel. That is why I desired to go on a mission. I want my brothers and sisters to know of Gods love. So I’m writing on this webpage because about a year ago, I was counting down the days until I could turn my papers in and was reading anything about missions that I could get a hold of. And this website stuck out. I am 20 years old and can turn my papers in in exactly 27 days. I have been seriously counting down the days until I could do this since I was 15 years old. I have always wanted to serve. I KNEW I was going to serve. I was READY to serve. I honestly felt like there should have been an acception made for me, to let me leave early! (I was THAT ready.) I applied to BYU Idaho and got accepted. (With about 6 months till “paper time.”) My perfect plan, was to go to the spring semester there, then come home from that and hang out with my family until I was sent out. It was perfect. Flawless. Well about a month before I was supposed to leave for the spring semester (5 months ago) My little brother committed suicide. It rocked my world harder than anything imaginable. Suddenly I don’t know what way is up, what way is down. My sister had to learn of his death while she served a mission states away. I honestly don’t know what to do… I feel like going on a mission is a good choice but after my whole life basically, KNOWING that I would serve a sister mission one day, and now I am so uncertain…? It makes me so scared. I know Heavenly Father doesn’t expect me to go. I know it is my choice. But I don’t want to regret not going, since it’s something I’ve always wanted to do. I find myself thinking more about marriage now instead of a mission. But I don’t know if I’m doing that because it’s just more of me being in grieving and wanting to stay in a comfort zone. Anyways, I know it’s my decision, but I would appreciate some feedback if anyone has anything to say. Thanks. I just received my mission call to Germany, and making that decision, in some ways, was one of the hardest I ever made, for several reasons. My Grandfather, who was diagnosed with Alzheimer’s many years ago, was one of my biggest reasons to hesitate. I’ve spent my whole life living only a few minutes away from my Grandparents, and so I am extremely close to both my Grandma and Grandpa, so seeing him suffer the way that he is.. It breaks my heart, and I am absolutely terrified that he might not be here when I get home. My other reason for hesitating, is my Great Uncle, who has been like a Grandfather to me, has been giving a year and most to live, and I know I won’t be here when he passes away. My point for sharing this though, is that, even though these two men are so important to me, I know I need to serve my mission. Not only that, I know that’s what they would want me to do… And that even if they are gone when I get home, this isn’t the end. I’m heartbroken by the idea that they will pass away, but I know I will see them again, and so, I’m happy as well. I want to share this amazing message with the rest of the world, to tell them that they will see their loved ones again! I don’t know if that helps at all, but I just wanted to share what made me decide to say yes to a mission. I love this forum. I’m not a returned missionary, but I’m a prospective sister missionary. I’m 99% done with my papers — one more doctor’s appointment. I just wanted to share what made me decide to serve. At first, I never ever EVER wanted to go. I went up to BYU-Idaho with intentions to find a husband. (Yes, surrendering to the status quo of BYU-I-Do). I attended BYU-I for 3 consecutive years and was engaged by my junior year (this year). I was engaged for 6 months and then called off my wedding for reasons NOT related to a mission. Suddenly one day I was reading my scriptures and realized that Christ is coming SOON. Suddenly I had the desire and the urge to gather the Lord’s children and do my part in building Zion. Also, I am greatly inspired to serve by the knowledge of how much it will bless my future children and my family someday. I know that it will only be for the better — not the worst. Being worried about marriage and thinking it will never happen if I go on a mission is SILLY. Thinking you’ll be “too old” and that you’ll never find a husband is NONSENSE! The Lord blesses His daughters for their service — in ways we never thought imaginable. I am so excited to serve! I have never really had the desire to go on a mission but now that the age requirements have changed, I really am think about it. 19 years old seems a lot easier age for then 21! I am 17 now and I know I have 2 years but I feel I need to start preparing now, but I am not sure if I want to or not. I have a strong desire to but I am scared. Callie, Mission prep is life prep. Whether or not you end up going on a full-time mission, it is a good idea to do the things involved in mission preparation. Studying the gospel, reading the scriptures, building your testimony of the Savior, learning to teach the gospel to others, saving money and budgeting, these are all things that will help you in life, in church callings, in your marriage, as well as in your mission, should you choose to go. Do those things for mission prep, and whether or not you go on a mission, you will draw closer to your Savior, and be more prepared to return to live with our Father in Heaven. Good luck and may God bless and be with you. Callie, if you have the desire, you can do it! I was scared too, I felt inadequate. But we won’t be alone on our missions! We are just the messengers of our Heavenly Father. Jimmy is right, the more you study and build your testimony, the more desire you will have to share the truth to people you specifically are meant to find. I always had the desire to serve. I knew that when I received my patriarchal blessing. When I turned 19 this August, and had been going to college, I knew something was missing in my life. I knew that I wasn’t supposed to be going to school, which is weird. If I shouldn’t go to school, what should I be doing? I was really struggling with the fall semester, until President Monson’s announcement on October 6 about the age change. Within 10 minutes, I had my appointment set up with my Bishop, and the rest is history. I received my call November 7, to the Italy Rome Mission, Italian speaking. I leave March 20! I cannot know the Lord’s plans, but He always has perfect timing. I know this announcement of the age change was specific for my answer to so many prayers. I am so grateful for the gospel and the blessings that come with it. That is why I want to serve. I want to share the greatest blessing I have ever had to as many as will listen in my mission. to because I just have a feeling I should when I am 19 but it is four years from now should I ? Its good to read about potential (well perhaps now serving – as I’m a bit late on the scene here) sisters who are a little older. I’m 25 and until a couple of months ago hadn’t given much thought to a mission. I never had any plans to go and until very recently if you’d suggested it to me I’d have politely told you to get stuffed. Serving a mission was always something that I wanted to do! I am a convert of 9 years and a senior in high school. The age change has done wonders for sister missionaries! I am young though, and won’t turn 19 for another year after I graduate. Also, I sent a missionary off, and he gets home RIGHT when I turn 19. I am constantly hearing people say if you have to option to get married instead of serving a mission, you should do so. I have been praying and fasting and reading my scriptures, searching diligently for an answer. I can’t get serving a mission off my mind, but I don’t know if that is because it is something that I want, or if it is what I’m supposed to do. I am having a very hard time depicting the Spirit from my own thoughts. The decision to serve a mission is between you and the Lord. It sounds like you are doing all the right things to learn the will of the Lord for you: praying, fasting, reading the scriptures, etc. One thing my dad taught me years ago is that when you are living righteously, you will have the Spirit of the Lord with you, and you can trust your feelings. Good luck and God bless you, whatever you decide. desire to serve a mission is one of the greatest blessing and memorable situation and a habit of your life, although soma people may think that serve a mission is not like going off island for vacation, but no you are going out to serve the lords word…. An older friend of mine had a daughter who had submitted her papers but had not received her call yet. 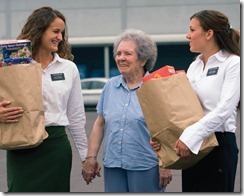 She began to wonder if serving a mission was really what she was meant to do. Her YSA group got to have a personal fireside with Richard G. Scott, and she was able to ask him his thoughts on the matter. I love what he said in turn. Essentially he told her that she should continue with the mission process, and if it truly was not something that the Lord wanted her to do, he would place in front of her some very obvious roadblocks that would make it clear that she was not to go. She accepted his answer readily and followed his advice, and as a result she served a full-time mission and has a very successful marriage and family. I am leaving to go on my mission in three days and honestly, leaving will be one of the hardest things I have ever done and suspect will ever have to do. I have never had the desire to go on a mission, not because I don’t want to share the gospel, but because I don’t like the way missionaries do it. I much prefer to be a member missionary and become friends with someone and establish trust and be a help-meet through the process and try to keep them in the Church. I strongly dislike approaching random people and knocking on random doors and try to share the gospel with someone who clearly just wants you gone. Missionaries do that more often than teaching in homes with members as invited guests, even though the latter is far more effective and helps more people to become better, even if they don’t fully accept the Gospel. But the missionary age dropped and since then I’ve known deep inside that Heavenly Father was going to ask the impossible of me. Over two years ago, I started to go to Preach My Gospel to learn how to be an effective missionary and after my first lesson the Spirit wouldn’t leave me alone until I promised to attend as many Preach My Gospel lessons as possible. So I decided to start fasting and praying for an answer about whether I would go on my mission and it took 9 months of prayer and fasting but I knew I would get an answer because He promised me clear direction in my Patriarchal Blessing. I got my answer a year and half ago, the answer that I didn’t want. And then I being to put my papers in and experience many delays and setbacks, finally ending in receiving my call completely unexpectedly and getting a mission that I desperately didn’t want to go to with one of the most inconvenient leaving dates possible. Sending my acceptance took me a few days and was really hard. As I approach my leaving date, it’s only getting harder but He has called me, at this time, at to that mission for a reason. So I will go and I will learn a lot from it and I will make the best of it and work hard to be the best missionary I know how to be. My family breaks that statistic cause both parents are return missionaries and none have been married in the temple so far, I’m not married yet and have the goal to get married there. Everyone one has there choices so I don’t think that it makes a difference if the parents are or aren’t it’s up to the kids. Agency.